Stan's Flow EX rims are one of the most popular All Mountain options. Comes with tubeless tape & valves installed. Enduro Pro rims hit the mark, offering a strong 27mm Tubeless Ready inner profile at a paltry 470g/rim. Comes with tubeless tape & valves installed. This wheel set built with Mavic's stupendous EN321 rims contains a special kind of "00's" awesomeness that rims designed in this most recent decade will simply never possess. The BWW V HD Max with Shimano Alivio Disc 26" mountain bike wheel set is both V-brake and 6-bolt disc compatible. The Sun Rhyno Lite is a known rim. It has been known for decades. 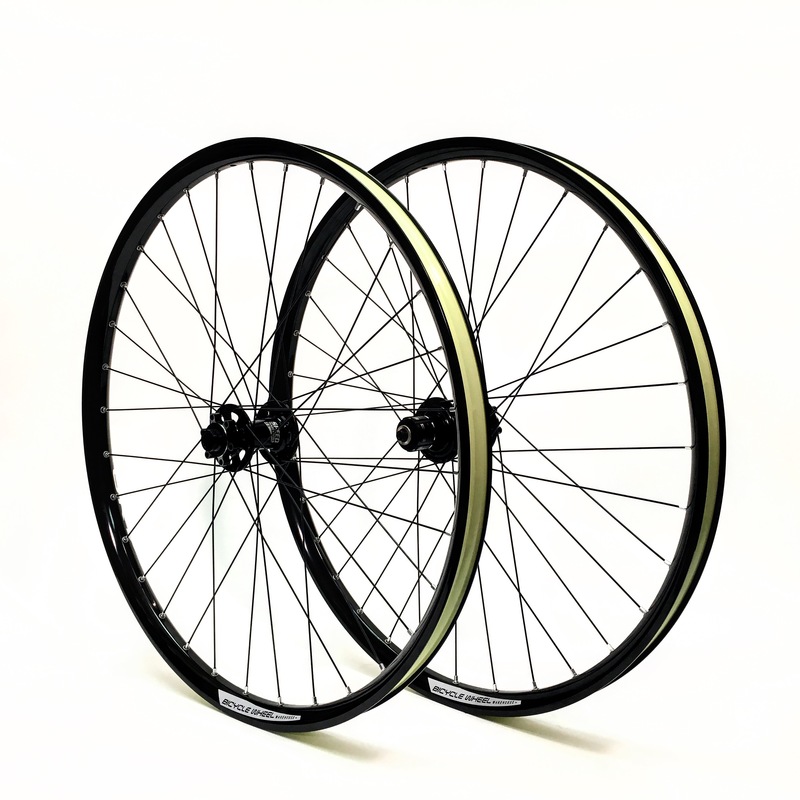 Super quality ready for anything type of 26" MTB disc wheel set. The BWW V HD with Shimano Alivio Disc 26" mountain bike wheel set is both V-brake and 6-bolt disc compatible. When the downhill runs try to hit the Sun MTX, the MTX hits back. Can be a great gag gift for your 26" loving weight weenie friend.